Beston carbonization plant is applicable to various raw materials, such as rice husks, straw, sawdust, wood chips, palm shell, coconut shell, etc. So it becomes a popular and efficient way to process agricultural wastes. Moreover, the entire carbonization process is continuous to make it easy and safe to operate, although it includes pre-treatment, carbonization, smoke discharge, sulfur emission and charcoal enrichment. That’s why Beston can be a leading carbonization plant supplier. Here is the working video of the waste carbonization plant in Uzbekistan. Except for the high-quality biochar production equipment, you will also enjoy the service from Beston Machinery. Before your purchase, our professional sales managers and engineers will help you know the charcoal machinery in details. Then we will propose you the most suitable business plan on the basis of your local conditions. You can also come to visit our factory on site. Once we get your deposit, we will keep you informed of the progress from manufacturing to shipping. Meanwhile, our engineers will be on site to help with your installation. 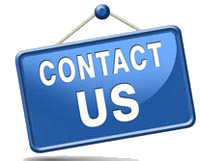 Also, our after-sales service team will keep in touch with you at any time. All in all, it will be a pleased cooperation with Beston Machinery. Welcome to contact us!